Our Lancaster office currently accepts clients Mon-Thur. The three therapists listed below work in both Lancaster and Pickerington. You may call to see their specific schedules for each office to see which works best for you. William Hargett, LPCC, is a Licensed Professional Clinical Counselor who has maintained a private practice in Fairfield County since 1991. He is in the Lancaster office on Tuesdays and Thursdays. He has clinical experience in a variety of settings: inpatient and outpatient centers, community based mental health, and private practice. Mr. Hargett has extensive clinical experience working with families, children and adolescents. His areas of expertise include behavioral and developmental disorders, anger/temper outbursts, ADD/ADHD, social skills, anxiety and depressive disorders. In addition, he provides therapy to adults who are experiencing mood disorders, unresolved grief, relational and marital problems, and stress due to family or work related issues. Mr. Hargett has been involved in leadership at both state and local levels. He has served as the past Crisis Coordinator for Fairfield County Emergency Services, and the Vice President and President of the Ohio Crisis Network. Shirley K. Verhey, LPCC-S, is a licensed professional clinical counselor who completed her Masters from Ohio University. Shirley is in the Lancaster office on Mondays and Wednesdays. She has 20 years of experience in community mental health and private practice. Shirley has also worked on the Crisis Hotline and in Christian counseling. She is a Level II EMDR therapist specializing in the treatment of post-traumatic stress disorder. Shirley also has clinical experience working with anxiety and mood disorders, grief and loss, women and relationship issues in adolescents, adults, couples and families to bring mental and emotional health. Our beautiful Pickerington office sits directly behind the Pickerington Medical Complex and Pharmacy. All of our clinicians practice in this office, and you may call to get their specific schedules. Erin Bryant, LISW, is a Licensed Independent Social Worker, completing her undergraduate degree in Social Work from Miami University and her graduate degree from The Ohio State University. Erin is in the office on Mondays and Wednesdays. In 2007, she began her clinical experience in a mental health setting working with children, adolescents, and families. Erin has experience working in the community setting as well as assisting families with school related problems. Erin often utilizes a cognitive-behavioral approach. She has a particular interest in empowering individuals and helping them cope with life’s difficulties. Erin specializes in anxiety disorders, PTSD, disruptive behaviors, mood disorders, depressive disorders, ADHD, and anger management. William Hargett, LPCC, is a Licensed Professional Clinical Counselor who has maintained a private practice in Fairfield County since 1991. William is in the Pickerington office on Mondays and Wednesdays. He has clinical experience in a variety of settings: inpatient and outpatient centers, community based mental health, and private practice. Matt Ksiazk, LISW is a Licensed Independent Social Worker who completed undergraduate and a Master’s degree from The Ohio State University. Matt has gained experience working with a variety of ages, demographics, and clinical symptoms with a community based program in Columbus. Matt has worked with clients, families, schools, and community partners to address behavioral issues at home and school in young people. He has also gained experience working with adults facing different challenges and symptoms using motivational interviewing and self-management. Matt specializes in ADHD, Oppositional Defiant Disorder, anger management, anxiety and stress relief, PTSD, and depressive disorders. He has also developed a presentation and information for parents to address the challenges of parenting and managing symptoms in kids. T. Ryan Snyder, LPCC, is a Licensed Professional Clinical Counselor with a Master’s degree in Clinical Pastoral Counseling from Ashland Theological Seminary. He has also completed training in Eye Movement Desensitization and Reprocessing (EMDR). He has been working since 2008 in a juvenile justice setting with adolescents and families. Ryan’s scope of focus includes helping individuals with depression, anxiety, trauma, behavioral issues, and anger management, as well as working with families and couples. He is available at the Pickerington Office on Monday and Thursday mornings. Shirley K. Verhey, LPCC-S, is a licensed professional clinical counselor who completed her Masters from Ohio University. She has 20 years of experience in community mental health and private practice. Shirley has also worked on the Crisis Hotline and in Christian counseling. 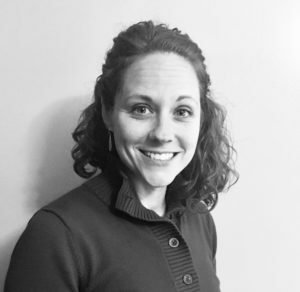 Megan Yaraschuk, PCC, is a Licensed Professional Clinical Counselor with a Masters degree in Community Counseling from the University of Dayton. She has been working with children, adolescents, and adults in the mental health setting since 2008. Megan has experience working in the office setting, as well as in the community and in the schools. She has a particular interest in working with trauma victims. Megan primarily utilizes a cognitive behavioral approach and also enjoys using art to help facilitate change. She has experience addressing a wide range of problems including PTSD, ADD/ADHD, anxiety disorders, grief, mood disorders, depressive disorders, anger management, and disruptive behaviors.